So I might be eight months late on this one – big apology to Silverstone on that one – but here’s the XSR take on the Silverstone SD01. 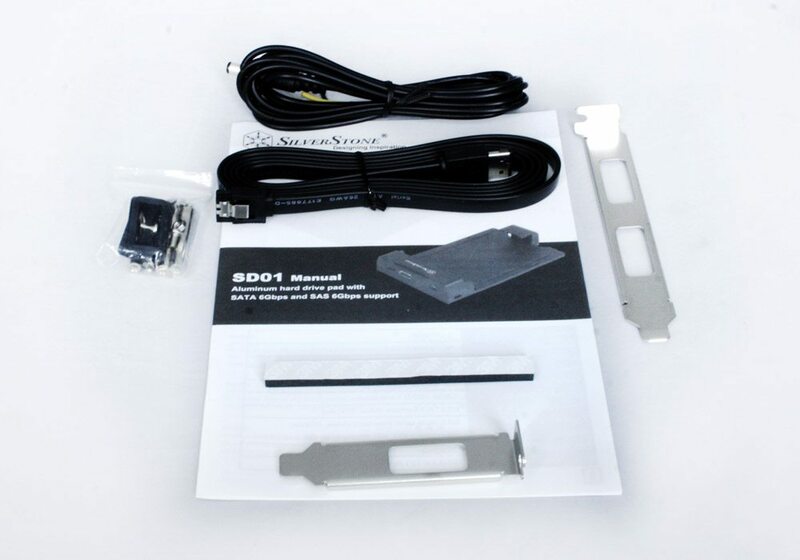 It’s a stackable HDD pad mount which lets you make your standard hard drive portable. Sort of. It’s a bit of an odd product but here it is. Operating system support Windows 2000, XP, Vista, Mac OS and Linux. Unique stackable design for easy upgrades and expansion. 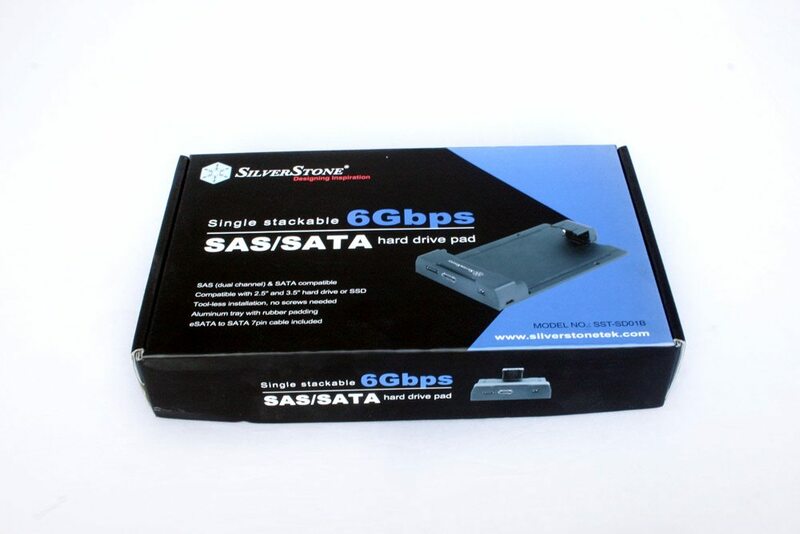 Support SATA and SAS interface hard drive. Maximum 6Gbits data transfer speed via SATA or SAS dual-lane interface. The power source synchronizes with computer. Along with the HDD pad, you get a power cable that hooks up to a molex four pin connector, a small collection of screws and bits, a couple of different size PCI brackets and an eSATA to SATA connector. I actually have almost one hundred SAS/SATA drives which I have to backup or blank … In my point of view the SD01 fits perfectly for this task, and it’s hundred times cheeper than any hard drives duplicator/eraser supporting SAS2 interface.